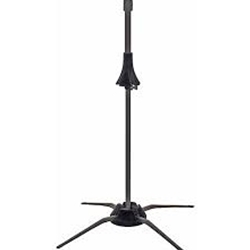 The Lightweight Design is easy to set up and provides a strong, stable base for the instrument. The Compact In-Bell Design allows stand to store safely in the bell of the instrument taking no space in the instrument case. The Velvet Base Design protects the finish of the instrument.